We clean your Air Duct System. Not Just the Ducts! Our trained and certified professionals will conduct a systematic inspection of your residential ductwork and filters to establish the degree of services required by your system. Did you realize that the air you breathe inside your home can be more seriously polluted than the air outside? 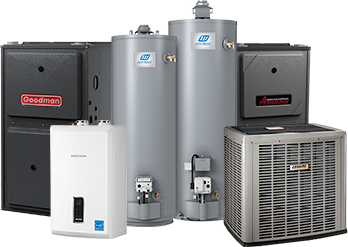 Millions of microscopic contaminants enter your heating and cooling system every time it goes on. If these particles are not cleaned out, they can build up in your air ducts and get back into the air you breathe, irritating allergies, asthma, sinuses, and spreading cold- and flu-causing viruses. These particles can also pass through to your heating and cooling equipment, reducing effectiveness and causing costly repairs. We can help you remove these pollutants from your air. By carrying out Duct Cleaning service you will ensure that you and your family are safe from any potential Allergens that often exist in the air-ducts of your property – it can be absolutely anything from dust, dump, animal fur or debris. Please don’t forget to clean your ducts! Receive 25% off your duct cleaning service with installation of Furnace and/ or Air Conditioner, contact us for more details. A little fresh air on the inside will do you good. Our local pros can clear out years of accumulated dirt, dust, debris and other allergens. Our national network of professionally trained air duct cleaning technicians is right around the corner. That simple dirt, dust, carpet fiber, or building material that you see may be contaminated with bacteria, fungus, mold, or dust mites. These pollutants are force-fed into your home every time the fan is activated, causing allergies, asthma and respiratory problems to flare. Medical researchers have found that the debris in your ductwork can cause allergies, irritate your bronchial system, or lead to a number of other illnesses. Most people don’t realize that the space occupied by the ductwork in their home is equivalent to a spare room — a room that has never been cleaned! What is this black stuff around my registers? Most of the time this is from a phenomenon referred to as “Candle Sooting”. When candles are burned repeatedly, the soot gets pulled into the cold air returns, moves through the filter, and blows out of the supply side of your HVAC system causing black stains on ceilings, walls, carpet, etc. The best alternative to prevent this is to use soy candles or candle warmers. Yes. Our duct cleaning services are guaranteed to leave you a satisfied customer. We will make every attempt possible to make sure you are completely happy with our service and will take all necessary measures to leave you with a positive impression. We believe it is definitely worth the money as the dust, debris and all the dirt is vacuumed out of the air ducts creating a cleaner air that you breathe in your home. We received feedbacks from customers who let us know that after the Duct System Cleaning chronic allergies and asthma are not as severe inside their homes. Will having my ducts cleaned make a mess? Duct System Cleaning will not make a mess as with our cleaning system all of the dirt, dust and debris are vacuumed back to the truck, outside, where it is captured into a hold compartment or in a portable equipment which is brought inside the home to perform cleaning. Contractors will perform a clean and neat job. How long should it take to clean an average residential HVAC system? There are a lot of factors that go into the amount of time needed to properly clean a duct system. 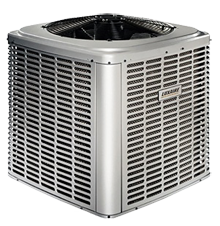 How many systems does the home have, the accessibility of the HVAC system, duct work and manpower. The average three or four bedroom home will take approximately 2 to 3 hours to complete. Please refer to the average duct cleaning time table for a better estimate on your home size. How should my ducts be cleaned? 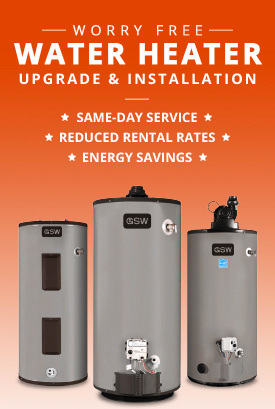 The best way is called a Source Removal and should only be done by a professional contractor. The contractor places the system under a negative pressure, using a specialized and powerful vacuum. The vacuum draws air through the ducts, then with different types of pneumatic tools the on-board compressed air dislodges dirt, dust and debris that otherwise will lay in the system, travels down the ducts and into the vacuum hose and empties into the Hi-VAC truck mount unit. Sometimes portable units are used which must be brought into the home. These units filter all of the dust and debris inside the home. 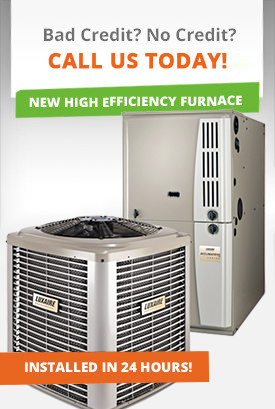 DeMark Home Ontario Inc. recommends duct cleaning every 2 to 3 years. If someone in your home or place of business has asthma or chronic allergies, yearly cleaning may be beneficial. I am having the carpets cleaned, should I have the ducts cleaned before or after? BEFORE. We strongly recommend the carpets be cleaned after the duct cleaning mainly because there is a phenomenon referred to as “Candle Sooting” which causes the area around the registers to be stained black. By cleaning the air ducts prior to the carpet cleaning the contractor will remove a majority of this soot so you can keep the carpet cleaner. If my home under construction/ being remodeled, should I have the duct cleaning done before or after? Duct Cleaning MUST be done AFTER all of the drywall sanding, wood sanding, wood cutting, carpet laying, etc. is completely finished. We recommend that all the dust has settled before the cleaning of the air ducts takes place to ensure your ducts are dust free after the cleaning. 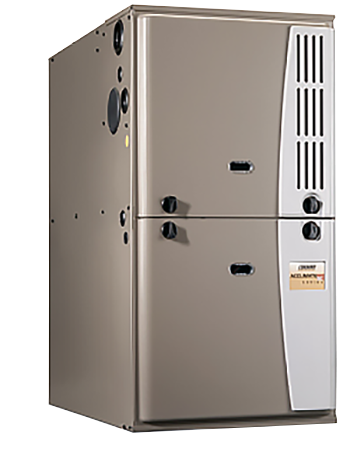 If I am having my furnace replaced, should I have the ducts cleaned before, during, or after the installation? We suggest that Duct Cleaning is done right after the installation of your new equipment to ensure that all the dust, dirt and debris which was collected in the air ducts is removed. What are the benefits of having my HVAC duct system cleaned? 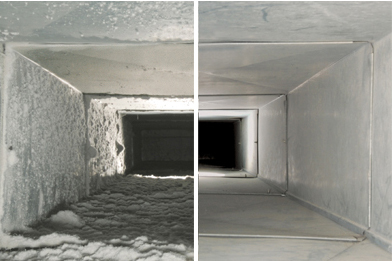 The benefits of Duct Cleaning are cleaner and healthier air that you breathe in. Heating and Air Conditioning duct systems will collect dust, dirt and debris over years. This matter will lay in your system and little by little will disburse back into your home. It is dark and sometimes damp inside you air ducts and this is a great place for mold, mildew, bacteria and fungi to form. The removal of such contaminations from the duct system should be #1 priority in improving indoor air quality. Also duct system cleaning helps to reduce the dust and particulates in your home and improves the efficiency of your heating and cooling equipment.